Students in English 340 now have a Libguide for their course. The guide provides links to reference sources, books, e-books, journals, research databases, videos, websites, sound recordings and more on British and Irish Poetry since 1930. 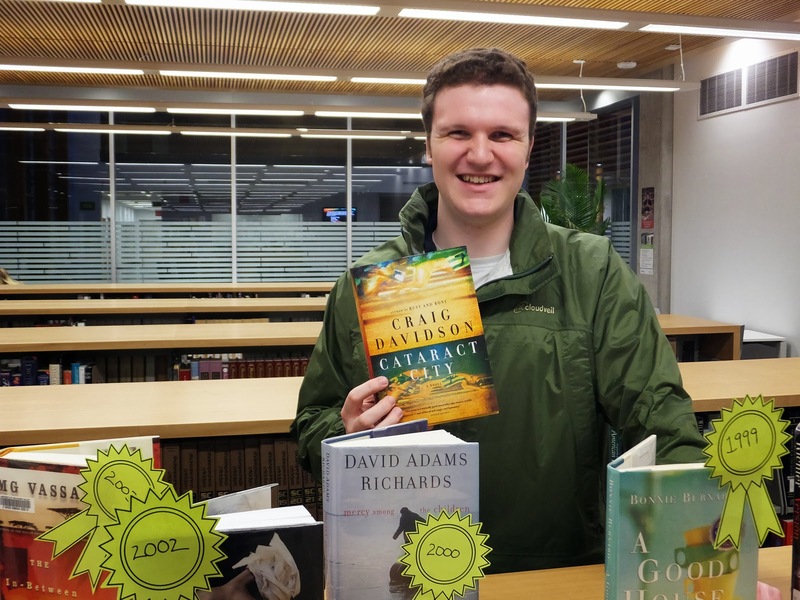 UFV student Gabe Kirkley shows off his winning book. UFV Marketing and Communications special events coordinator Betsy Terpsma and her winning book. UFV Library, along with the Chilliwack branch of Scotiabank, awarded one copy of each of the shortlisted Giller prize books to members of the UFV community. The contest was open to employees and students, who entered through an on-line survey or through paper ballots. Entries were randomly selected. Students Gabe Kirkley, Natalie Ng, Ryan Keely and Kayla St. Louis, along with Marketing and Communications’ special events coordinator Betsy Terpsma, each won copies of the five Giller short-listed books. Named in honour of the late journalist Dorothy Giller, the Scotiabank Giller is Canada’s most important literary prize. Celebrating its 20th year, this year’s Giller winner is Lynn Coady for her short story collection Hellgoing. 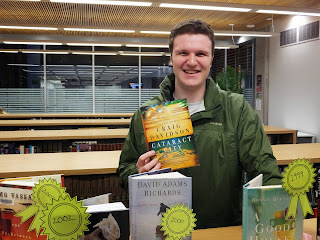 UFV library has copies of each of the short-listed books: Hellgoing, Going home again by Dennis Bock, Cataract city by Craig Davidson, Caught by Lisa Moore and The crooked maid by Dan Vyleta. Our annual Food for Fines campaign ran from December 1-24. Thank you to all who chose to "pay" their library fines with food donations or simply donated food. This year, for the first time, contributions went to the recently established Student Union Society Food Bank. Thank you for helping us donate 213 food items to the Student Union Society Food Bank. Although our annual campaign is over, it is never too late to make a direct donation to a food bank! Welcome back to Winter Semester at UFV. Our regular library hours have resumed and we look forward to helping you. A new video player and toolbar that lets you bookmark your place in a video, choose between multiple layouts; and bit-rate streaming that automatically adjusts to the highest quality file the user’s bandwidth can support. Coming soon - a dedicated smart phone app. Note: Links to specific videos will continue to redirect in the future. American History in Video's early newsreels, including the complete series of United Newsreel and Universal Newsreel capture history as it was made and reported to viewers of the time. The collection also contains award-winning documentaries, featuring dramatic reenactments and engaging analysis from prominent scholars and experts. Counseling and Therapy in Video: Volume I is a classic collection of videos filmed between 1985 and 2010, providing faculty and students with a first-hand look at the realities of working with clients and the challenges associated with putting theoretical concepts into practice. This collection provides a through grounding in dozens of therapeutic methods and diagnoses. 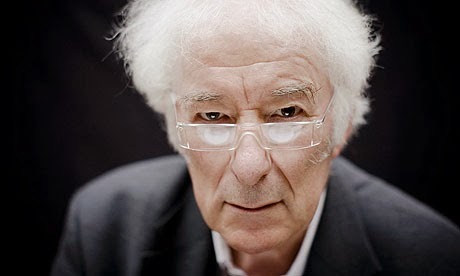 Theatre in Video contains more than 250 definitive performances of the world‘s leading plays, together with more than 100 film documentaries, online in streaming video - more than 500 hours in all, representing hundreds of leading playwrights, actors and directors. For questions, please contact Patti Wilson.